Langtang lies to the north of Katmandu near the Tibetan border. The Langtang valley is also called “the valley of glaciers”. The region holds mountain peaks such as the Langtang Himal, Dorje Lakpa, Langshisa, and Gonja La Pass. The scenic holy village of Tarkegyang is famous in the region. There are also high mountains of solid ice. It is the third most popular trekking region of Nepal. To be precise, it is the nearest trekking destination from Kathmandu. The region offers a multitude of trekking destinations. The three major areas of the region are Langtang, Goshaikunda & Helambu. A visit to Langtang valley offers an opportunity to explore villages, to climb small peaks and to visit glaciers at a comfortably low elevation. The other destination Goshaikunda (4300m) has also many things to offer. Every year, pilgrims of both Hindus & Buddhists visit in this sacred place. Langtang region is sandwiched between the main Himalayan range to the north and a slightly lower range of snowy peaks to the south. Langtang Lirung (7246 metres) dominates the valley to the north; Gang Chhenpo (6388m) and Naya Kangri (5846m) lie to the south; and Dorje Lakpa (6966 metres) protects the east end of the valley. The area was designated Nepal’s first Himalayan National Park in 1971. A visit to the Langtang Valley offers an opportunity to explore villages, to climb small peaks and to visit glaciers. After the breakfast we drive out along the north-western hills of Kathmandu. Enjoy the Himalayan views and mountainous lifestyle through the terraced fields and rustic villages. Take Lunch at the Trishuli Bazar before continuing further to Dhunche. From Dhunche, we descend down to Syabrubesi. Over night at Hotel. After breakfast we will cross over to the bank of the Langtang river and start out on the trail through a thick forest filled with oak, pine and bamboo trees. We may spot some wildlife such as the local monkeys, wild boar and if we are lucky the Himalayan black bear or the endangered red panda. The route hugs the river bank for 2 hours before starting a gentle ascend until we reach Lama hotel after 6 hours. Lama hotel is located on the bank of the river so we fall asleep to sound of rushing water. Overnight at Lodge. We leave Lama Hotel and continue to gain altitude while walking through wonderful mountain scenery with the flowing river nearby and surrounding waterfalls. As we reach the green meadows of Ghora Tabela the snowy white peaks of the Langtang range come into view. Rising early we continue down Langtang valley through tiny ethnic Tibetan villages and past yaks and horses grazing in terraced fields until we reach Kyangjin Gompa after about 4 hours. Today you can either choose to rest and visit the nearby monastery and cheese factory or climb the nearby Tserko Ri. The trail leading out of Thulo Syabhru ascends up a steep path through oak, hemlock, and fir forests and passes through village of Dursagang (2660m) with continuing amazing views of the Langtang Himal, Ganesh Himal, and the mountains far into Tibet. The initial gentle ascend out of Sing Gompa becomes steep as we approach Gosaikunda. 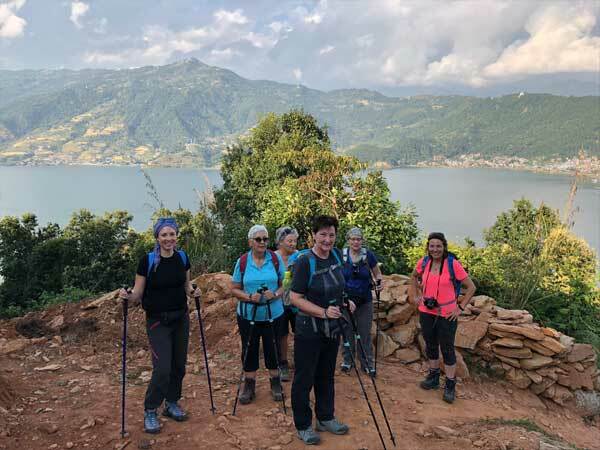 However, the rugged trail offers dramatic views to the west with Himal Chuli (7893m), the Manaslu range (8156mm), the Ganesh Himal range (7406m) and far away Tibetan peaks. On a clear day, even the Annapurna range can be seen rising up behind and to the north across the valley is Langtang Lirung. Today we descend back down dunce the trial passing through Lauribanayak with magnificent mountain views and forests along the way, overnight at Hotel. 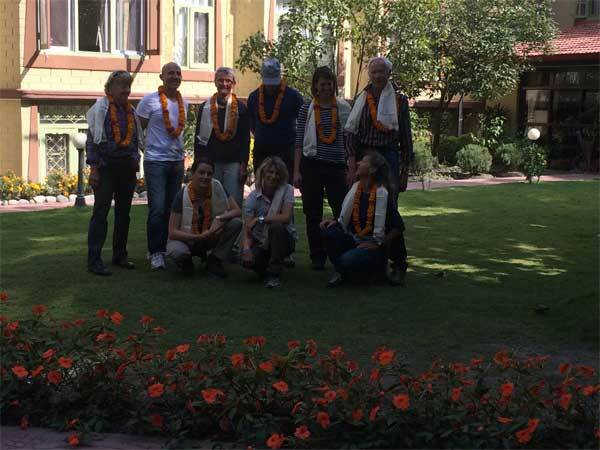 After breakfast we drive to Kathmandu around 7 hours and transfer to your hotel. Matterhorn treks & Expedition will transferred to the International Airport your departure flight to your onward destination.